On Thursday I wrote to Councillor David Bowes, Convener of the Licensing Board, and Councillor Stewart Hunter, the Convener of the Licensing Committee about my concerns about the disconnected public consultations about proposed changes to the licensing hours of pubs, bars and take away food establishments. At the Licensing Committee on Thursday 27 June, the Committee agreed to conduct a parallel consultation about licensing hours for take away food establishments. It seems unlikely that that survey can be reported until the September meeting of the Licensing Committee as understandably it is yet to be issued. At our June meeting of the Licensing Committee I asked, and it was agreed, that the eight Local Community Planning Partnerships as well as Community Councils and other local representative bodies could also be included in that consultation. Given the obvious overlap between both consultations, I think it would be mistaken to consider them separately. In fact there is a danger that if the Licensing Board meet and make policy decisions on extending licensing hours for pubs and night clubs at their August meeting that this might then pre-empt the policy decisions of the Licensing Committee in September about opening hours for takeaways. I suggest that we invite the Licensing staff to prepare a consolidated report on all both consultations and then provide a single report with the respective recommendations to both committees meeting in September. I understand in the early 1990s such a procedure was used and the Licensing Board met one day and the Licensing Committee met the next day. Postponing the reporting to the Licensing Board on their policy consultation from August to September would also allow time to refer the Licensing Board consultation to the cycle of meeting of our Local Community Planning Partnerships in August. Hopefully, this sure ensure that we have an opportunity to create and adopt an integrated set of licensing policies that work for the public and licensees." I think we need a good public debate about these proposed changes to licensing hours and the consultation should not be rushed. I believe that my suggestions would not only provide an opportunity for the results of the two consultations to be brought together but also provide more time for the public to be involved. 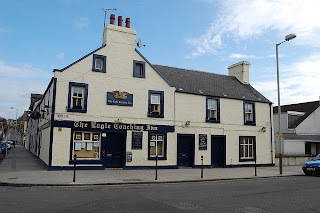 I know many residents live close to licensed premises in central Broughty Ferry. I hope that they take this opportunity to respond to the Council's consultations about potential extended hours opening for pubs, clubs and takeaways because these proposed changes could have a significant effect on life in The Ferry.